You need mortgage professionals you can trust. You need a company that shares your values of honesty and integrity throughout its organization. You need mortgage planning specialists who give you their best — consistently. You need a company with strength, stability and local lenders that you can trust — lenders that know your local market and can work with your local Realtors. 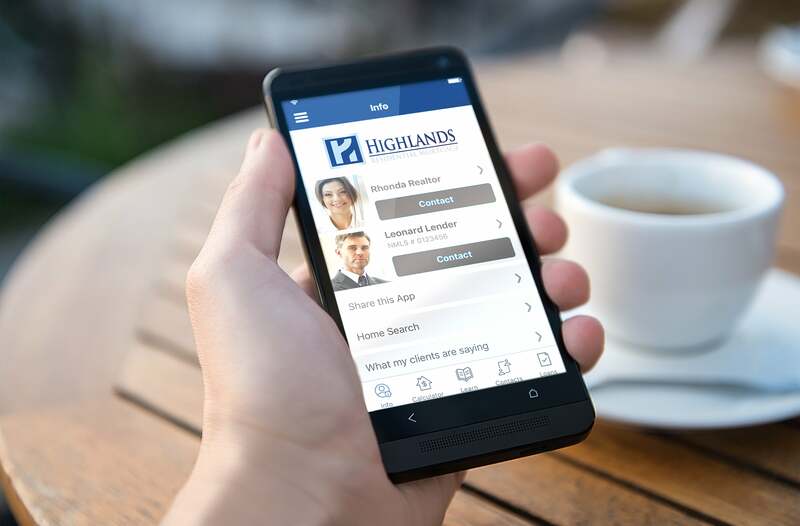 With the ability to originate and close loans locally — and with 18 locations — Highlands Residential Mortgage can meet you right where you are. A fixed rate mortgage, the most common type of mortgage today. It gives homeowners long-term stability with one predictable monthly payment amount over the three decades of the loan. The fixed interest rate keeps the homeowner free from the fear of rising interest rates. These loans appeal to homeowners who expect to settle down in one house for a long period of time. Available in 15 and 30 year terms. An Adjustable Rate Mortgage gives borrowers the advantage of a low introductory rate for the first few years of the home loan. The benefit of an ARM is these loans can help beat the higher interest rates found in fixed rate. The initial interest rate is fixed for a set period of time, typically 3,5,7, or 10 years, before it is susceptible to annual increases or decreases based on market fluctuations. ARMs can be a good option for short-term homeowner or those who plan to refinance when the fixed period ends. Jumbo Loans are non-conforming loans that extend higher than the loan amounts set by the Federal Housing Finance Agency. A jumbo loan is one way to buy a high-priced or luxury home. If you have a lower debt-to-income ratio, a higher credit score, and a larger down payment, a jumbo loan may be right for you. Highlands Residential Mortgage specializes in financing jumbo mortgages up to $3 million on a primary or second home*, asset depletion, and can offer up to 90% loan to value(LTV) with no mortgage insurance. * $3 million is only eligible in certain areas and is subject to property type, loan-to-value, and credit score. Rates, program terms, and conditions are subject to change without notice. Additional conditions, qualifications, and restrictions may apply. Federal Housing Administration (FHA) loans help families become homeowners by lowering the cost of financing and the down payment barrier to buying a home. A few benefits of an FHA loan are less-than-perfect credit can be considered, down payment requirements can be low, borrowers with limited credit or income, and borrowers are able to make the down payment with a gift from a family member or in some cases a charitable organization. The Full 203k can be used to purchase/refinance a primary residence, regardless of property condition. It is intended for more complicated projects that involve repairs that can be structural and/or cosmetic in nature and that would prohibit you from occupying the home. An important benefit is you can buy your home and complete the repairs using this type of loan. A minimum of $5,00 in eligible repairs is required, and can be used from upgrading appliances to scrapping a property and rebuilding (no luxury improvements, like pools, are allowed). The Streamline 203k is similar to the Full 203K but is limited to a minor home improvement projects such as cosmetic repairs or remodeling up to $35,000. These loans are designed with efficiency in mind, and no general contractor and 203(k) consultant involvement is required. As a result, when applicable, the Streamline 203k generally become the simpler choice with fewer costs by rolling repair and purchase/refinancing expenses into a single loan. The purchase of a house that needs repair is often a catch-22 situation because the bank won’t lend the money to buy the house until the repairs are complete, and the repairs can’t be done until the house has been purchased. The Streamline 203k is designed for less extensive improvements and for projects that will not exceed a total of $35,000 in renovation and related expenses. This version does not require the use of a consultant, architect, engineer, or as many inspections as the Standard 203k. As a result, when applicable, the Streamline 203k generally becomes the simpler, less costly option. Highlands Residential Mortgage proudly offers loan products that meet the home financing needs of active-duty military and veterans nationwide. VA loans are making the dream of home ownership a reality for millions of active-duty military and veterans by offering 100% financing for purchases and refinances, no mortgage insurance required, comparable closing costs with other financing types, and gifts and seller contributions can be accepted toward closing costs. VA Home Loans are made to eligible veterans (who were honorably discharged) for the purchase of a home for personal occupancy. For VA housing loan purposes, the term “veteran” includes certain members of the Selected Reserve, active-duty service personnel, and certain categories of spouses. USDA Home Loans are and affordable option and backed by the Federal Government Qualified program. Participants must purchase a home in an eligible rural area, as defined by the U.S. Department of Agriculture, and have a household income that does not exceed the established limits. USDA loans can provide up to 100% financing on a fixed 30-year loan, based on the appraised value of the home for low-to moderate-income homebuyers wanting to buy a home in a rural development area. Gifts or grants are permitted from family, friends, and non-profit agencies. No down payment required and no first-time homebuyer restrictions. State Housing Finance Agency–Bond Loans– are designed to support communities while providing affordable housing opportunities. Many government agencies at the state, county, and city level provide financial assistance for people in their communities who are well qualified and ready for homeownership. Generally the loans are available to first-time home buyers who have not owned and occupied a home in the past three years. Bond Loans offer down payment assistance, closing cost assistance, grants, and fixed-rate mortgage financing for buyers in. There are several options of assistance available. At Highlands we will help borrowers select the amount of assistance that best meets their needs and loan product. With a Bond Loan you are required to occupy the home as your primary residence. See your Highlands Residential Mortgage Loan Officer for additional details and requirements. Reverse Mortgages are a specialty type of loan available to borrowers 62 years of age and older who own their home. A great advantage of a reverse mortgage loan is that a borrower can retains the title to the home, not the lender, and use it to access monthly cash payments or lump sum of money from the home’s current equity. The borrower can continue living in the home after getting the loan. The amount of funds the borrower is eligible to receive from a reverse mortgage depends on the age of the borrower (or the age of the youngest borrower in the case of a couple). Refinancing your current fixed rate may have many benefits. A lower interest rate may be available due to changes in market conditions. A lower rate could lower the monthly principal and interest mortgage payment. Cash-Out Refinances may allow a borrower with sufficient equity in their property to refinance their mortgage for more than is currently owed and pocket the difference. A decrease in the length of a mortgage term (say from a 30 year loan to a 15 year loan) may increase the monthly P&I payment, but the loan may be paid off sooner. Refinancing to a lower interest rate, with a longer term mortgage will likely provide a homeowner a lower monthly payment; however the total amount of interest paid in the longer term could be more. Converting an Adjustable-Rate Mortgage (ARM) to a Fixed-Rate Mortgage– Interest rates for an ARM can increase or decrease. FHA has streamline refinance loans that cut down on the amount of documentation required from the borrower. Under the FHA streamline program the mortgage to be refinanced must already be FHA-insured, should be current on payments, and can refinance with no appraisal to lower the borrower’s monthly principal and interest payments. An Interest Rate Reduction Refinance Loan (IRRRL) helps service members refinance at a lower interest rate. Refinancing can help lower your monthly payment, change your term or turn an ARM into a fixed rate. Advantages of an IRRL are no appraisal, no credit underwriting, no income and/or asset verification, no out-of-pocket expenses, and you can roll all costs into the new loan. Homeowners enjoy the benefits of investing in their property year after year. For some, there comes a time when that investment can come in handy! A cash out refinance is a great benefit for those who want to cash in on the value built up in their home. Homeowner’s may take out a portion of their home’s equity in a lump-sum cash payment to use for things such as home improvements or paying off debt. Buying your first home can seem like a challenging task, but there’s no need to get overwhelmed! Highlands Residential Mortgage will help make purchasing your first home a breeze. The pre-qualification process is the best way to determine the numbers that are right for you. Early in your search, you can identify any potential hurdles and focus only on homes truly available to you. Knowing how much cash you’ll need to close and, ideally, consolidating those funds into one account will help to prevent stress and ease the process later. 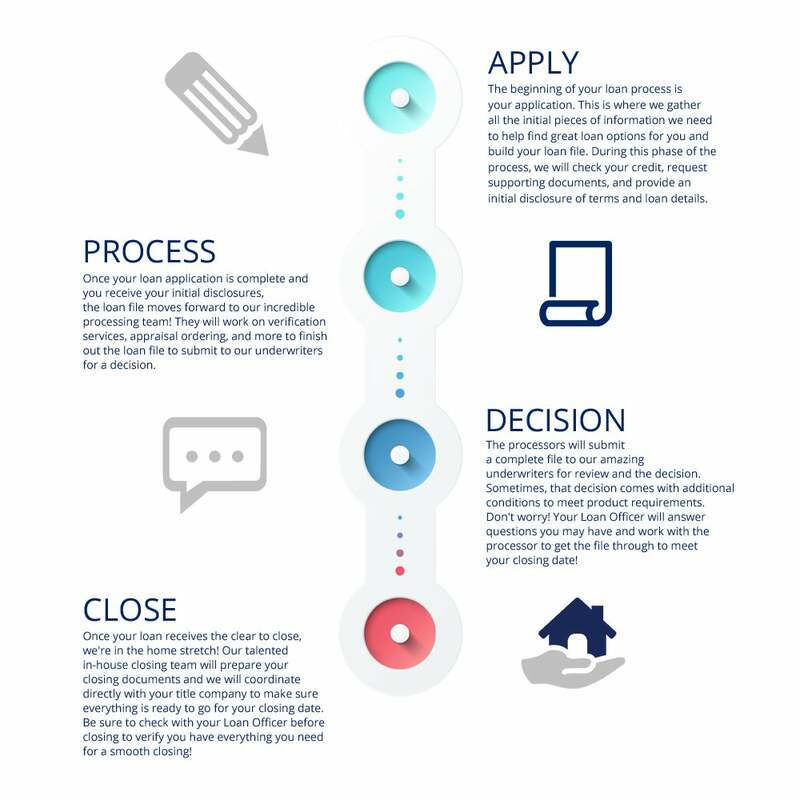 Whether you are open to several styles or have your heart set on one, narrowing your search will help save valuable time and prepare you to act when the perfect home for you hits the market. You’ll want to strike the perfect balance between buying what you can afford and buying what will accommodate your needs for as long as possible. Call a Highlands Mortgage experienced mortgage professional who can help educate you about the process beforehand, making the entire path to homeownership less stressful! Do pay off collections, judgements, or tax liens reported within one year. Do notify your Loan Officer or Loan Coordinator if you plan to receive gift funds for closing. Gift funds are acceptable only if certain criteria are met. Do organize your financial documents. Do shop for your homeowner’s insurance. Don’t pay off or consolidate debt to one or two cards– even if they have a $0 balance. Don’t make any large purchases (car, boat, jewelry, furniture, appliances, etc). Don’t enter any deferred payment plan of any kind. Don’t make any large deposits into any of your accounts outside of your automated payroll deposits, particularly cash or sale of personal property. Don’t take it personally if your requested to provide additional information about your income or deposits. All information will remain completely confidential. You can’t build equity in an apartment or rental property, but by owning your home you can! Your rent payment is not tax deductible. By being a home owner the interest portion of your mortgage payment could be tax deductible. *Please consult your tax advisor. Your rent almost always increases when your lease is renewed, but with a fixed-rate mortgage, the principle & the interest payments never go up. In addition to deducting mortgage interest, you may also be eligible to deduct costs paid at closing. As part of owning a home versus renting, you may be eligible for tax credits for improvements and other tax incentives. Buy and begin building your own equity. Rates are at an all-time low, and we are confident there is a program that is perfect for you. The benefits are endless!